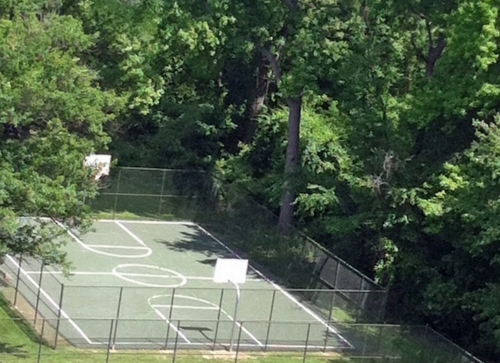 The basketball court is located behind the 21 building for use during the hours of 9 am to 8 pm. They are available to residents and their guests on a first-come, first-served basis. A new gate, posts, and backboards were installed in 2014. Residents in good standing may purchase a key to use the court.